*ANG Acquired Questar Fueling Company (“Questar Fueling”), a subsidiary of Questar Corporation in December 2016. 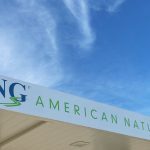 Questar Fueling Company, a subsidiary of Questar Corporation (NYSE:STR), has opened its newest compressed natural gas (CNG) fueling station in Buttonwillow, Calif. 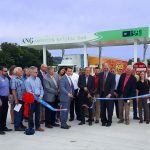 Given its operations in the area, PepsiCo’s Frito-Lay CNG fleet will serve as the initial customer base for this fast-fill CNG fueling station. The station also will make fuel available for other companies currently using or considering using alternative-fuel vehicles. This is Questar Fueling’s first CNG station in California. The company has plans to build a second station in Fontana by year end. The company recently opened two stations – one in Salt Lake City and another in Phoenix. 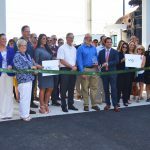 Over the past three years, the company has built 10 stations along major U.S. transportation corridors in Texas, Kansas, Arizona, Colorado and Utah. 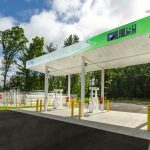 Along with an affiliate company, Questar currently owns and operates more than 37 CNG stations in Utah, Wyoming, Kansas, Texas, Arizona and Colorado. 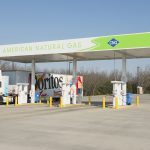 Companies such as Frito-Lay, Anheuser-Busch, Swift Transportation, Central Freight Lines, Dart Transit and many others operating medium- and heavy-duty trucks are finding it easier to fill up with natural gas. 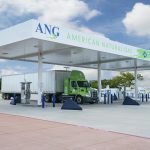 The new California CNG station offers four high-speed fueling lanes for large trucks. 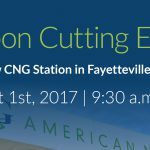 The station will also be open to members of the general public who drive natural gas-powered vehicles. The price for CNG is currently about $2 per equivalent gallon compared to about $2.165 per gallon of diesel fuel. There are more than 15 million natural gas vehicles on the road worldwide – but only 140,000 are in the United States. Now that the United States has become the world’s largest natural gas producer, the transportation industry is accelerating its integration of natural gas-powered trucks.